26/08/2006 / Be the first to comment! / Be the first to like this! 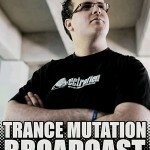 This set is one of the best Trance Mutation Broadcast uplifting sets ever ! Harmonic key-mixed tracks selected and mixed for your own pleasure by Jordan Waeles ! 12/08/2006 / Be the first to comment! / Be the first to like this! Jordan Waeles is back at the good old uplifting trance with a set aiming towards a nice climax.